It has been quite some time since I’ve posted a restaurant worthy of the “Resto of the Month” title. But El Catrin absolutely deserves this honour. 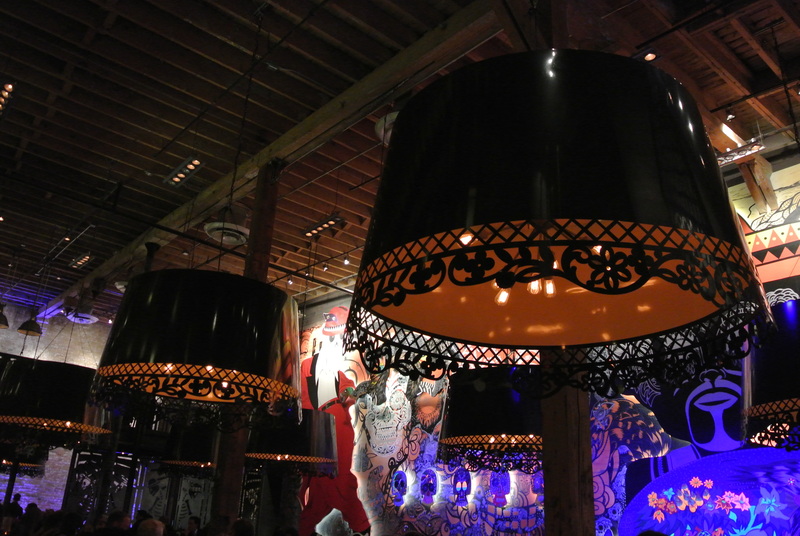 The usual “Finer Things in Life” Supper club members (me included) hit the relatively new restaurant for dinner one night – located in the hip and historical distillery district of Toronto. Specializing in Mexican cuisine, it was a menu of small dishes that can be shares – with a variety of botanos (mini burritos), ceviches and tacos. 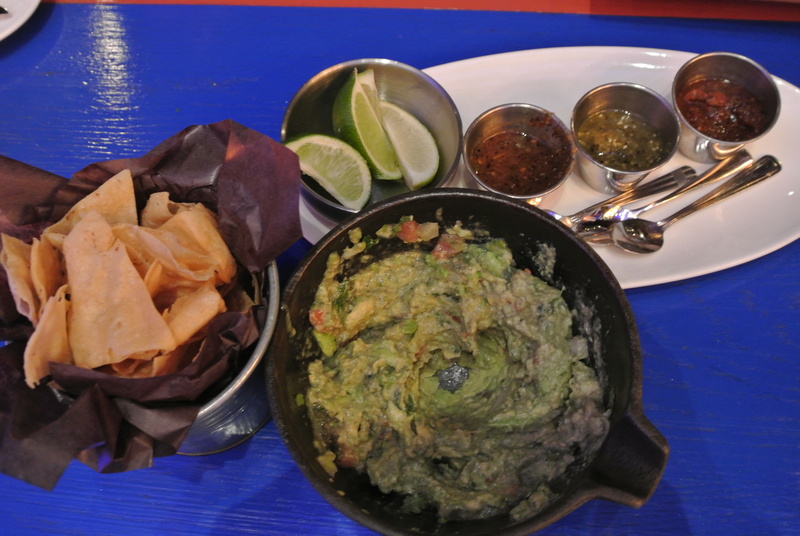 The guacamole was fantastic with lots of avocado chunks. I usually rate a mexican restaurant by how good the guacamole is however, what made this meal was the restaurant’s signature dish “Gobernador”. 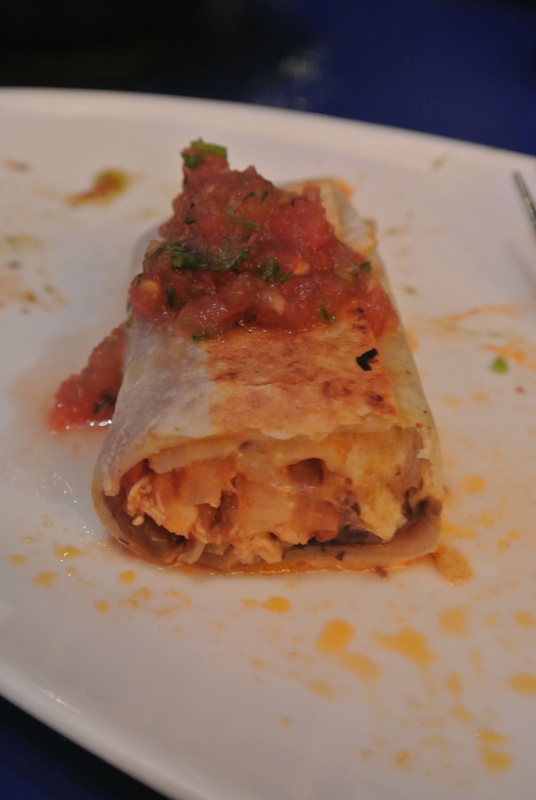 A delicious taco made with a flour tortilla filled with sauteed shrimp and lobster in chipotle mayo and black bean puree. I can confidently say that it was probably the best taco I have eaten to date!!! This is a must order! (Don’t forget the margaritas!) In addition, the dessert was unique in that they offered, as part of their regular menu is an option to select 3 desserts on a single place served with salted caramel popcorn. The churros and the hazelnut chocolate bar were to die for! So decadent! I will be back! 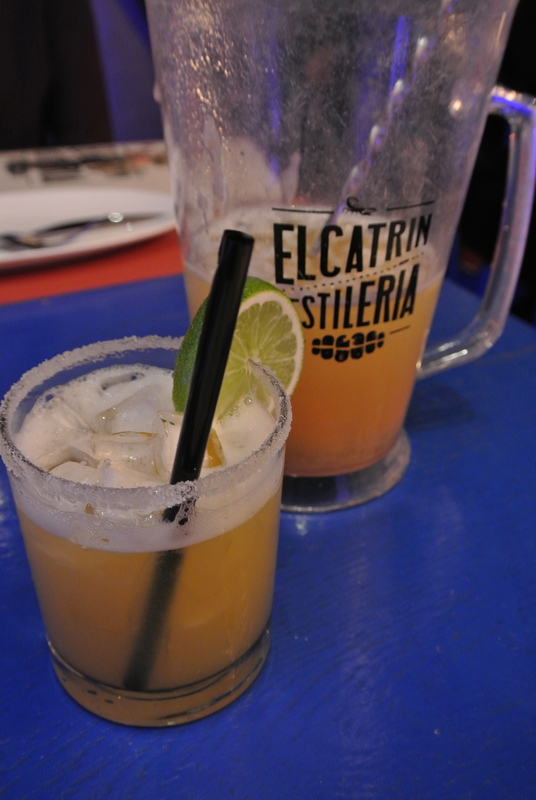 Pitcher of mango margarita – absolutely refreshing and delicious! 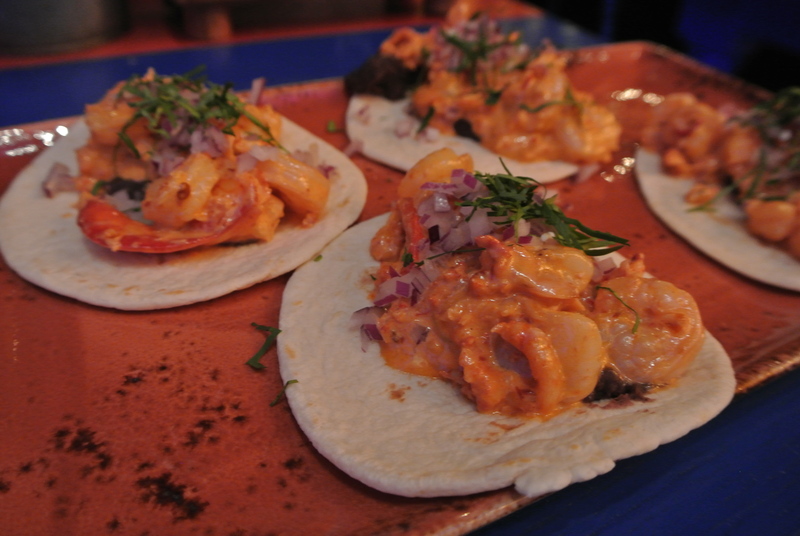 Gobernador – signature tacos with sauteed shrimp and lobster. 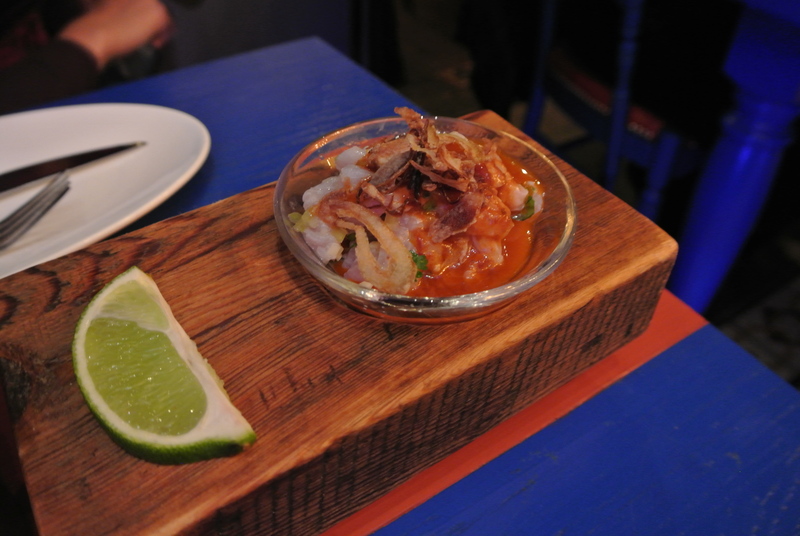 El matamoros – mahi mahi ceviche. 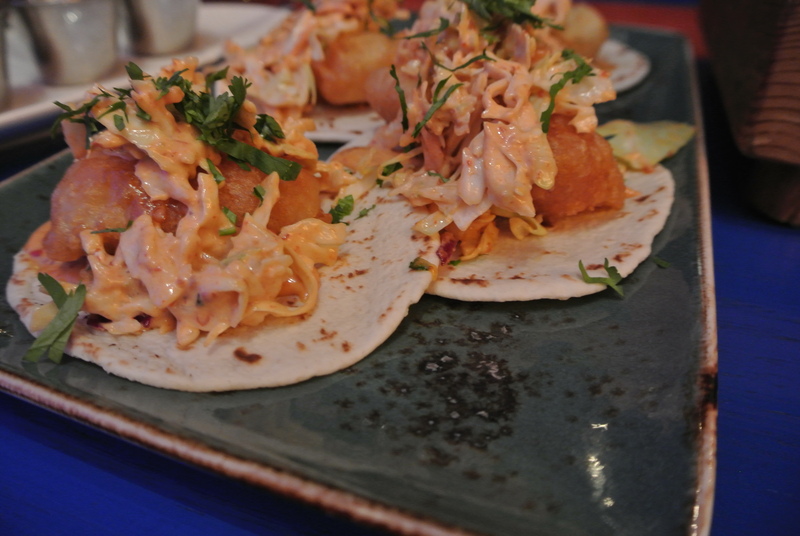 Fish tacos made with crispy fried haddock. 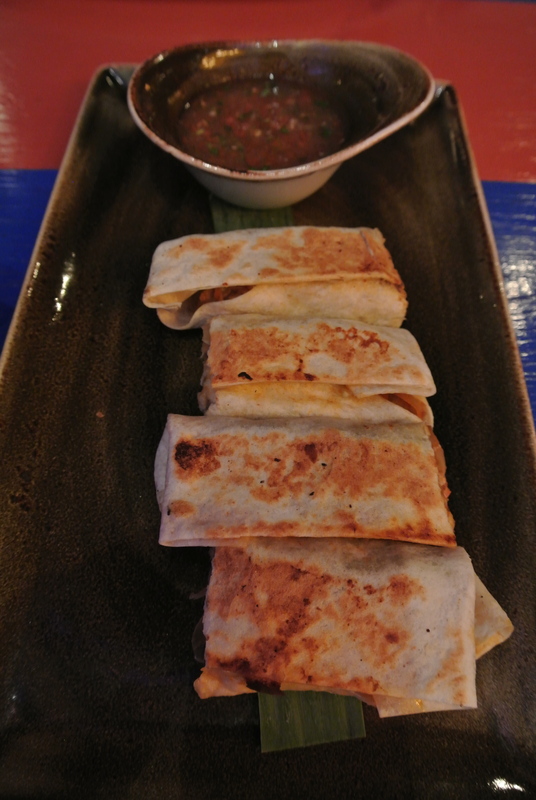 Gringa – flour quesadilla with grilled pork. 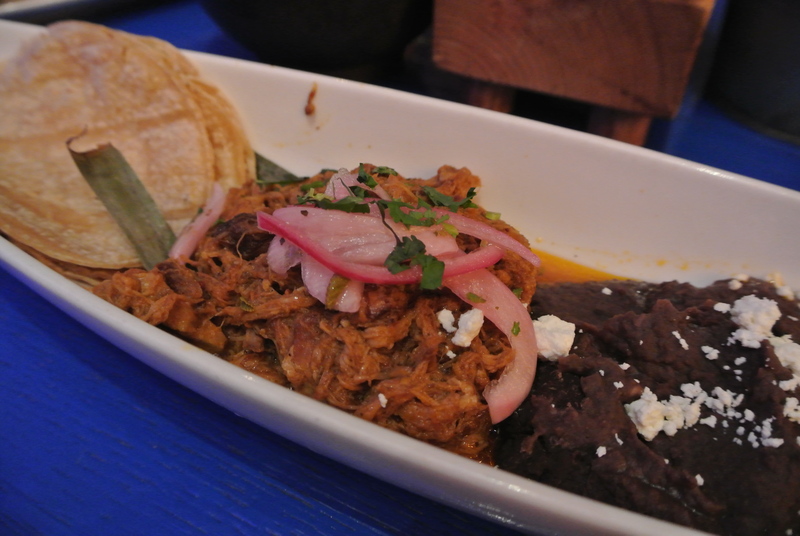 Carnitas – pulled pork and black bean. A close up of the Gringa. 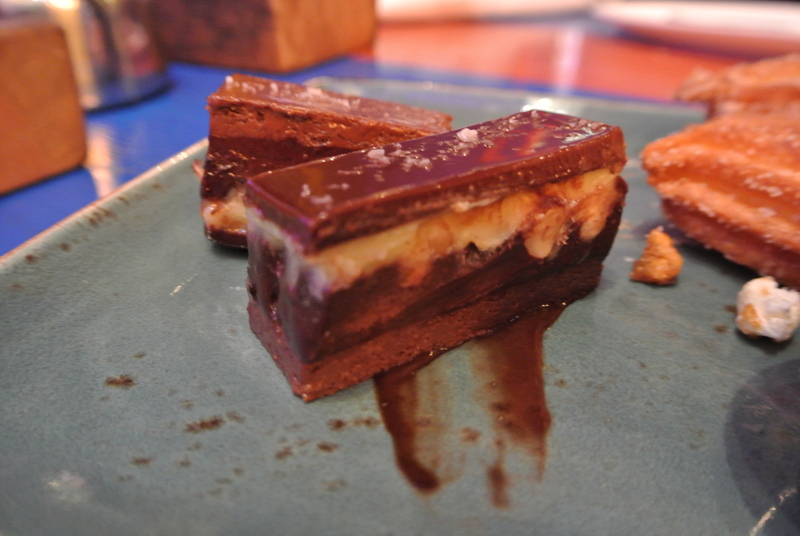 Barra de Chocolate Ahumado – double smoked spiced hazelnut chocolate bar. 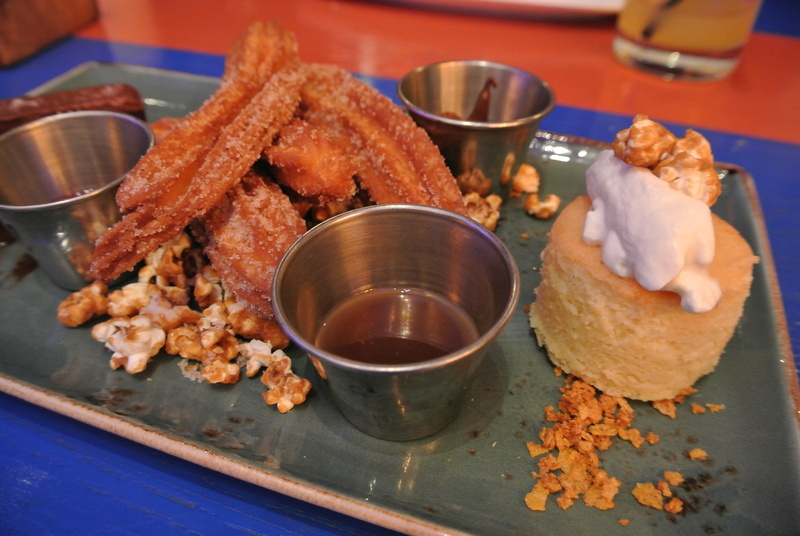 Churros and Tres Leches cake – delicious! 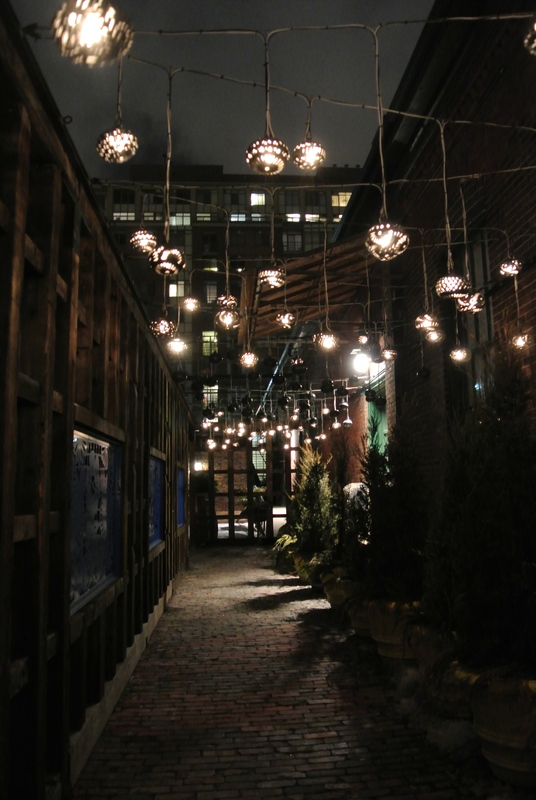 Patio and pathway leading up to El Catrin.